The first thing to know about your FICO score is that it will mean higher interest rates. While not every loan requires you to have good credit, and some programs may even offer bad credit personal loan options, you can be sure you will be paying higher interest rates than those with good credit. This is because lenders are taking a greater risk when lending money to those with low credit scores. But your interest rates aren't the only thing that can be affected. You could also be paying more on auto, homeowner's or renter's insurance since they also check your credit. Some landlords may have minimum credit requirements for apartment tenants, and some utility companies even charge hefty deposits on those who don't have good credit to protect themselves from defaults on the bills. But even if you've had these experiences, there is hope for fixing your credit. The first basic step in fixing your credit is to change your habits. Go from late payments to making them on time or even early when possible. 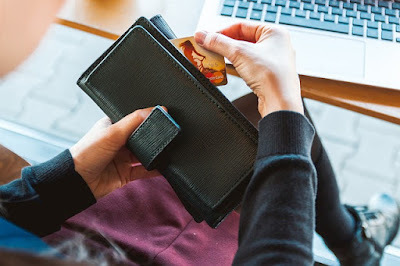 If you find yourself owing your creditors more debt than you can afford to pay all at once, you should work out installment payments with them so that you can pay it off with the right plan. Sometimes certified credit counselors can help you out with this, but be careful about who you call if decide to go this route because there are scammers out there pretending to be legitimate counseling agencies. Another way to fix your credit is to signup for a secured credit card. This will usually mean depositing an amount on the card, and it could be a few hundred dollars. But if you use the card well and pay your balance in full on time, you will get the deposit back and your credit score will start going up. You should make it a point not to just pay the minimum amount due but pay off the entire balance or nearly the entire balance so you keep your score in good standing. One other way to improve your credit score is to order a copy of your credit report and make sure there are no errors on it. The place to do this is www.AnnualCreditReport.com where you can get a free report once every year from Equifax, Experian, and Transunion. If you see an error on your credit report, you need to contact the credit bureau responsible for it, and they can work with the billing company to make sure it gets removed. You might be surprised at how much removing an error can help your score. In conclusion, fixing your credit may not happen overnight if it's badly damaged, but it can be done. A big part of accomplishing it will depend on changing your habits and perhaps living more frugally with your money. And it's good to always stay on top of your credit score by checking it frequently because doing so does not drop your score.